Staying healthy is not as hard as you may think—follow a nutritious diet, get some exercise, wash your hands, get enough sleep, and take care of your teeth. Your teeth and mouth health is an important factor when it comes to staying healthy. Good oral hygiene can help you stay healthy and avoid issues like heart disease and stroke. Different infections in the mouth can actually cause harm to major organs. So, keeping up on good oral hygiene can help you maintain a healthy lifestyle. But how are you supposed to ensure you teeth and gums and healthy? Well first there is the usual: brush twice a day, floss, daily, avoid eating and drinking sugary snacks and beverages, avoid smoking and using tobacco, and visit the dentist regularly. For some people, the dentist is just a waste of time, for others it is a fearful place, but for everyone, it is important for keeping a healthy mouth. A simple cleaning from the dentist can remove a ton of plaque and help to prevent you from getting things like gum disease. If you are looking for a dentist’s office in the Cheyenne area, Brookside Dental Care could be the place for you! Dr. Jared Christopherson is a knowledgeable and experienced dentist and can take care of your entire family’s teeth. Brookside Dental Care offers many different services. Our goal is to help you get the best oral care you need to remain healthy and have a beautiful smile. From teeth cleanings to dental implants, we can help you feel more confident about your smile and have a healthier mouth. In this blog, we will go over some of our services, keep reading to learn about our dental care office! This simple dentist visit can help to ensure you do not need any other dental work or procedures done, and if you do we can take care of it for you! If your teeth look healthy at the end of your appointment, you can head home knowing you are taking great care of your teeth. But if you do have a different oral issue, we can catch it and take care of it for you before it progresses or causes more problems! Along with our common procedures, we offer many different general dentistry services. The best way to avoid many of these procedures is to make sure you take good care of your teeth. Preventive care is a great way to keep yourself from needing more serious dental procedure. But not all procedures can be avoided. 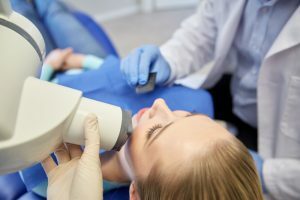 Wisdom teeth extraction is something that most people need, and unavoidable if you do need to get them removed. But fillings, gum disease, and other issues can be avoided. 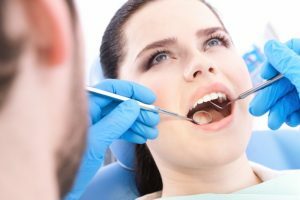 We also offer cosmetic dentistry, periodontal treatment, emergency dental care, and more general dentistry, learn more about these services and make an appointment for your teeth cleaning. Sometimes general dental services are not enough. We want to offer you the best possible dental care to ensure that your teeth are in good condition and so you don’t have to travel to another dentist office to get the care you need. That is why we have digital x-rays and an intraoral camera that we can use to find any small problems with your teeth that may go unseen. We can find dental issues that we may not have been able to with only x-rays. Oral cancer screening is another service we offer. This is part of our regular exam, allowing you to get the best care without asking for it. Our team is trained and know the signs to look for, allowing you to feel confident you got the best possible dental exam. To have a beautiful smile, it is important to get the best possible care. And after we ensure your mouth is healthy and happy, we can help transform your smile, allowing you to feel confident. From teeth whitening to clear aligners, you can have a brighter and whiter smile in no time! As you grow older, the need for implants may become more relevant, and we offer many different implant services to help give you a full smile. We offer many different implant services, and can provide you with implant-supported dentures or mini implants, allowing your smile to look and feel amazing. At Brookside Dental Care, we offer many different services, allowing you to get the best possible care for your smile. We can help you with many different dental care procedures, allowing you to get the smile you’ve always wanted! Plus a healthy smile means a healthy you! Contact us today to learn more and make an appointment!